Buy Green City Sandalwood & Cedar Glycerin Soap Bar in the UK from our online shop or directly from our independent Scottish store. All natural glycerin soap made with Organic essential oils. Long lasting soap. As official Green City stockist, we sell genuine Hand Soap Bars directly from our shop in Scotland and online throughout the UK. Greencity Wholefoods is a wholesaler of fine food and drink based in Glasgow’s vibrant east end. Greencity does not sell any products tested on animals and they only sell goods that are suitable for vegetarians. Their extensive ranges also include dietary specific products such as dairy-free and gluten-free foods. View more products from Green City. Where can you buy real Glycerin Sandalwood safely online? If you are wondering where you can buy Green City Sandalwood & Cedar Glycerin Soap Bar safely online in the UK, then shop with us. We are an actual health foods shop; with real people selling real foods and products. Our award-winning independent shop is located in Stirling, Scotland since 1976. You can buy our Wholefoods and other genuine Hand Soap Bars in store or safely place an order with us online or over the phone. 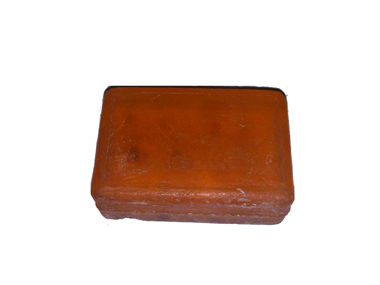 Glycerin Sandalwood - Green City Sandalwood & Cedar Glycerin Soap Bar in Hand Soap Bars and Hand Soaps.